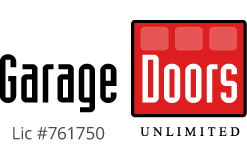 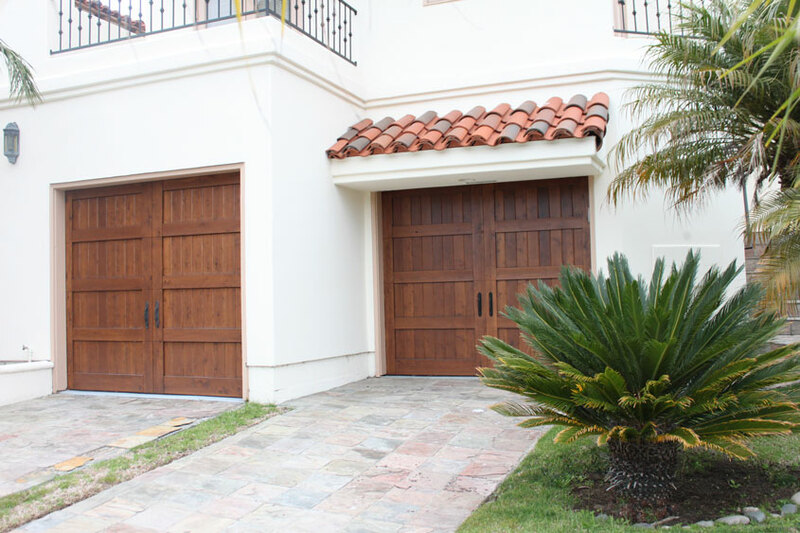 We have specific wood door specialists that are trained design consultants! 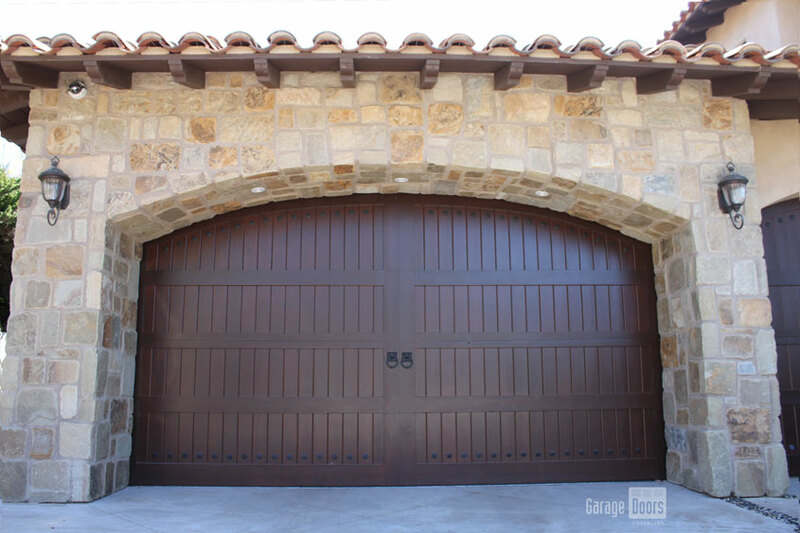 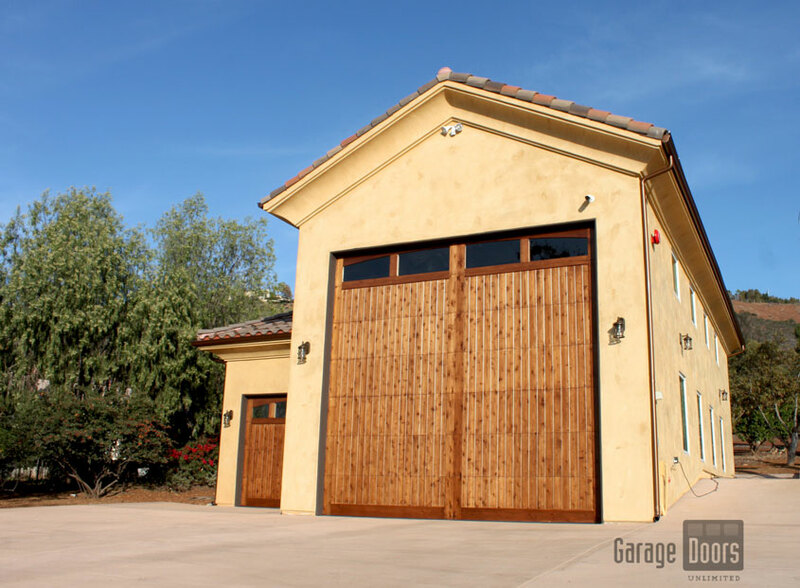 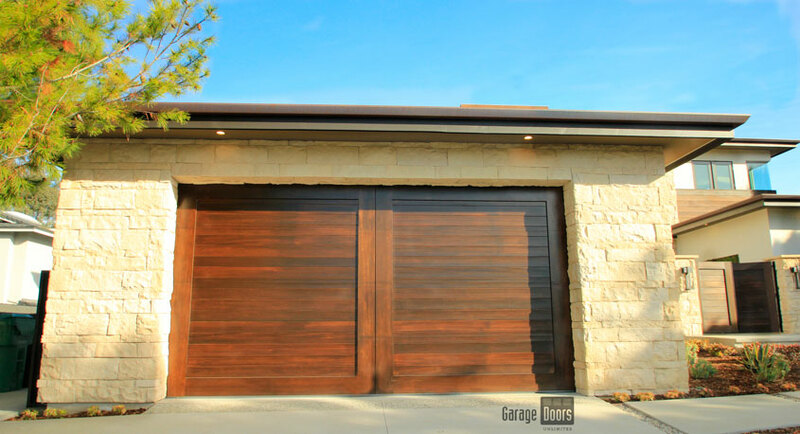 Our specialists are ready and equipped to help you define the style you’ve been looking for in your custom garage door. 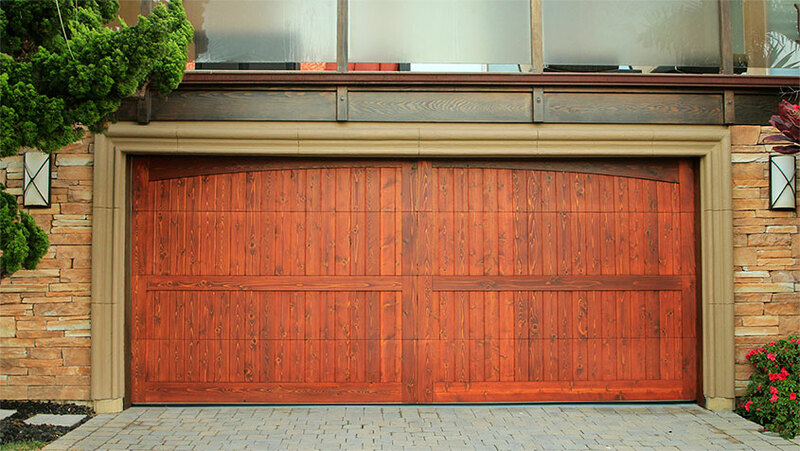 The sales team will develop a simple CAD drawing that is the basic blueprint of your custom garage door. 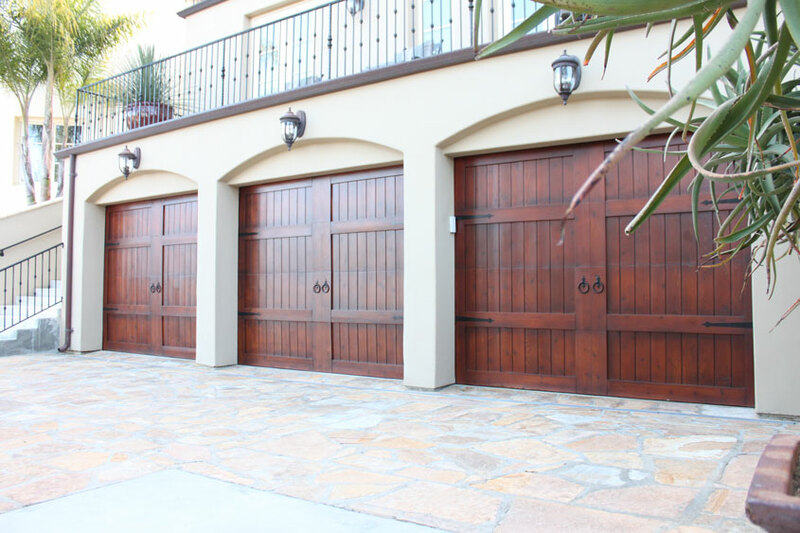 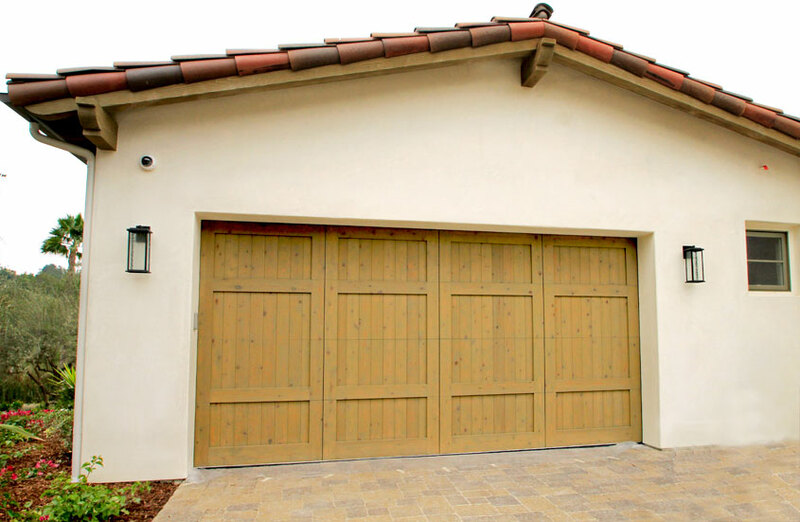 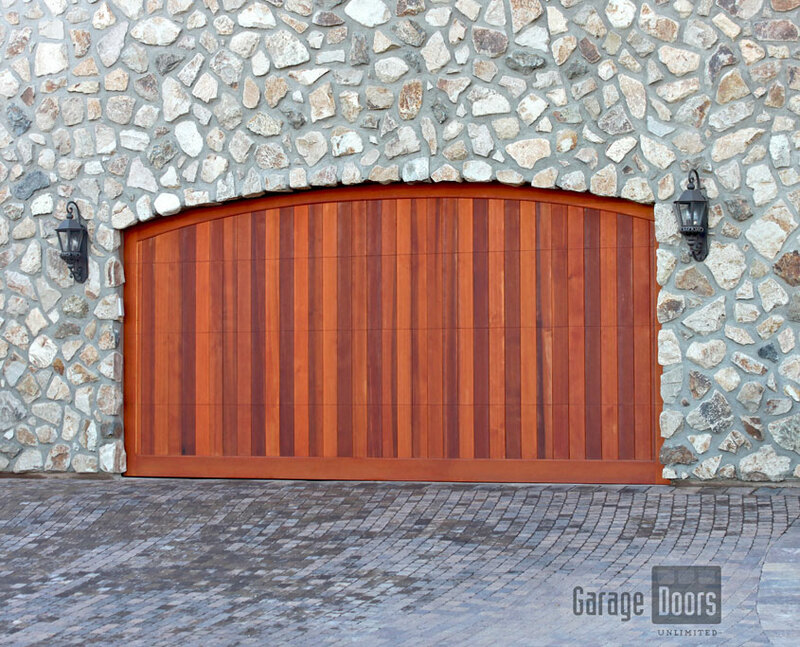 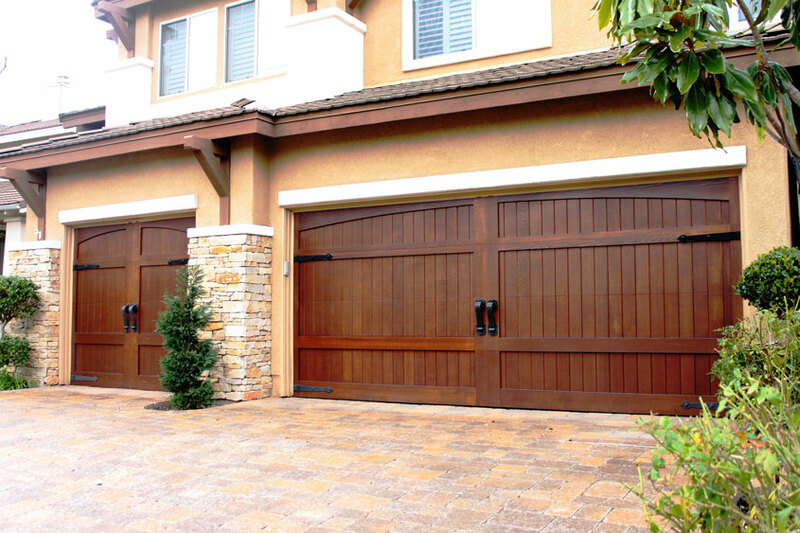 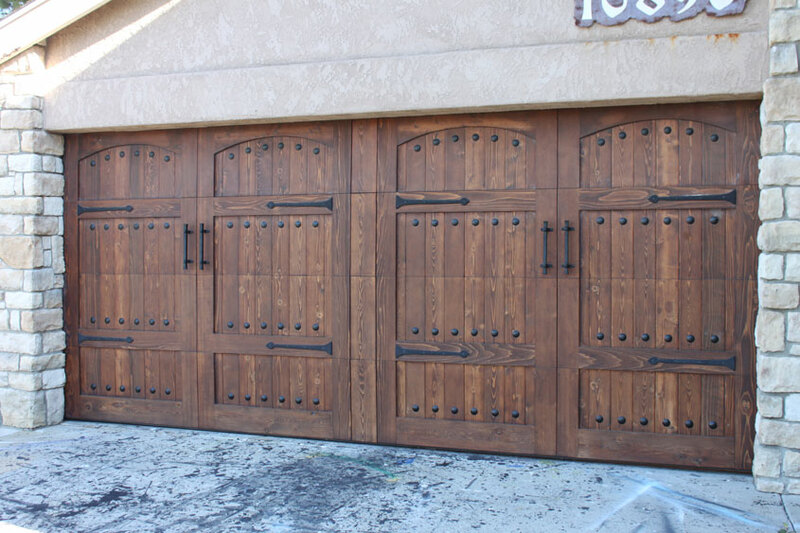 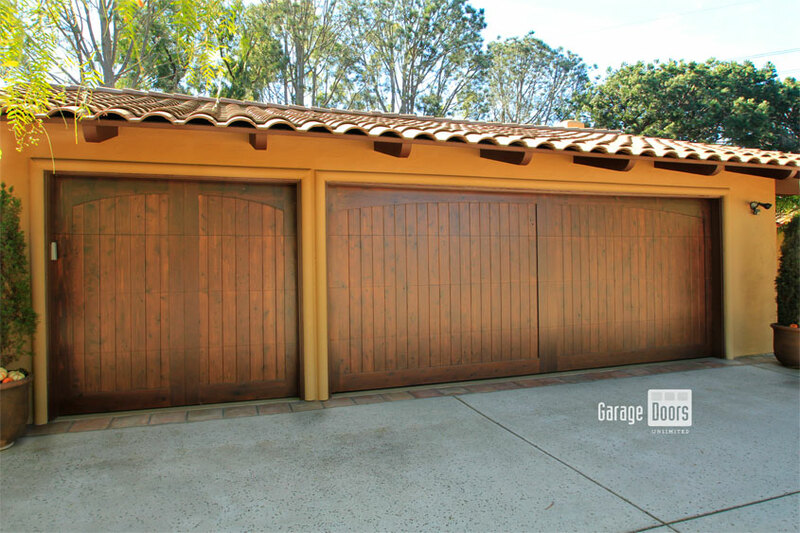 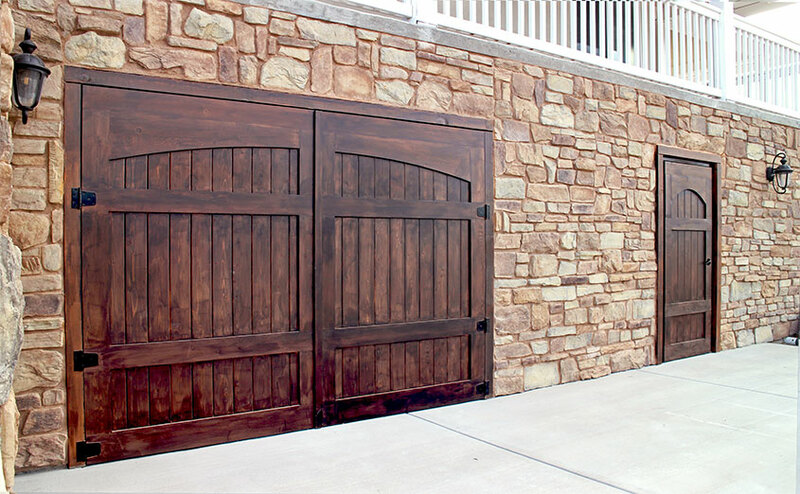 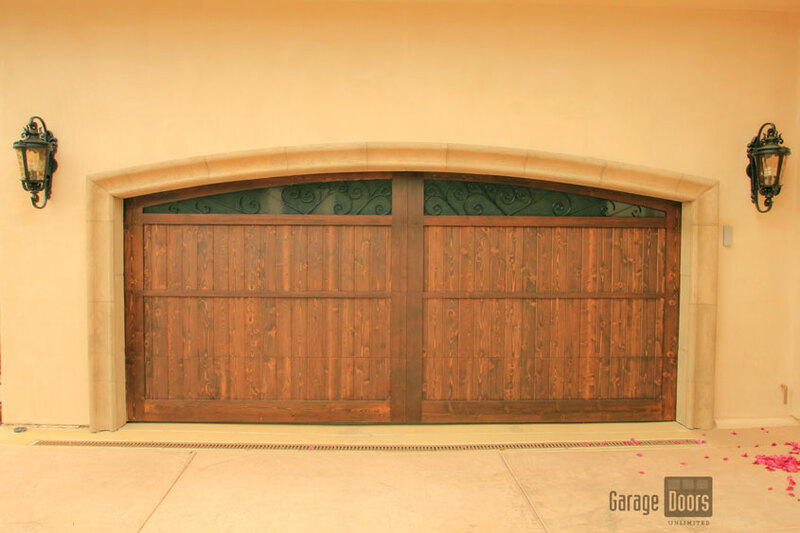 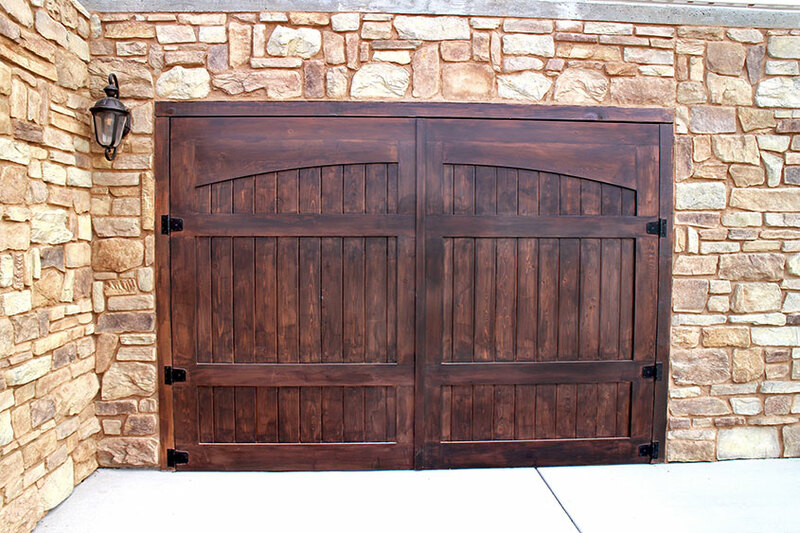 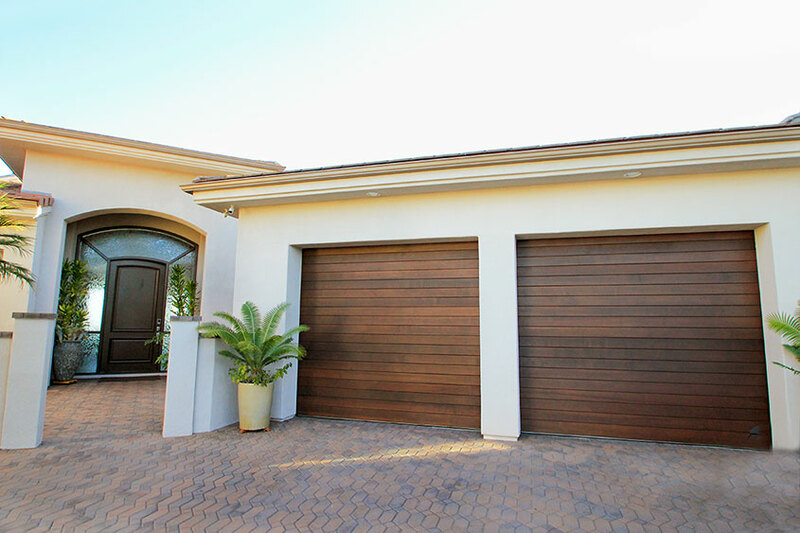 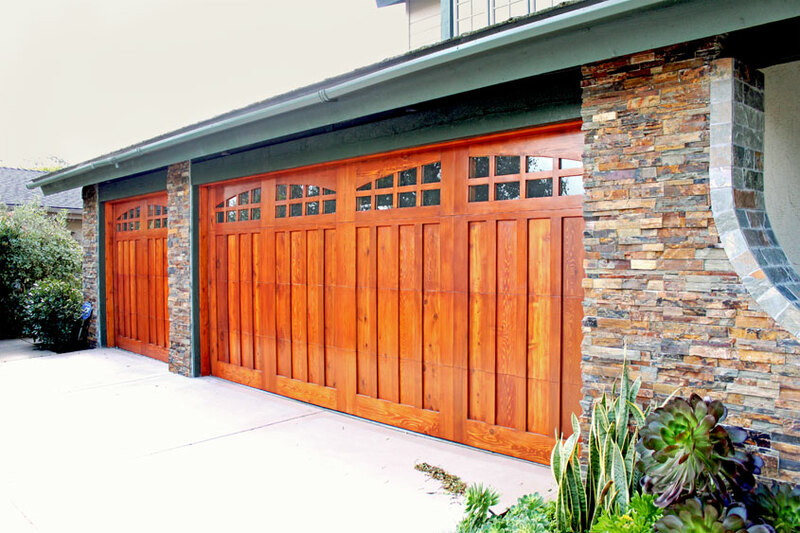 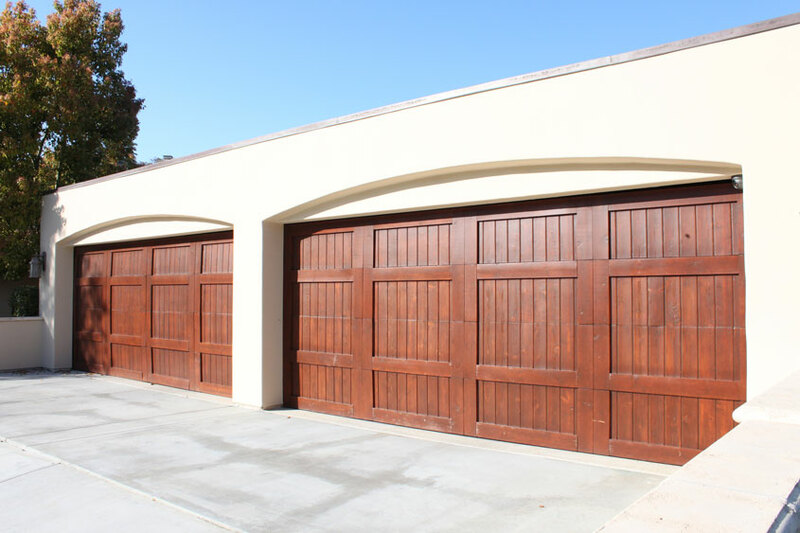 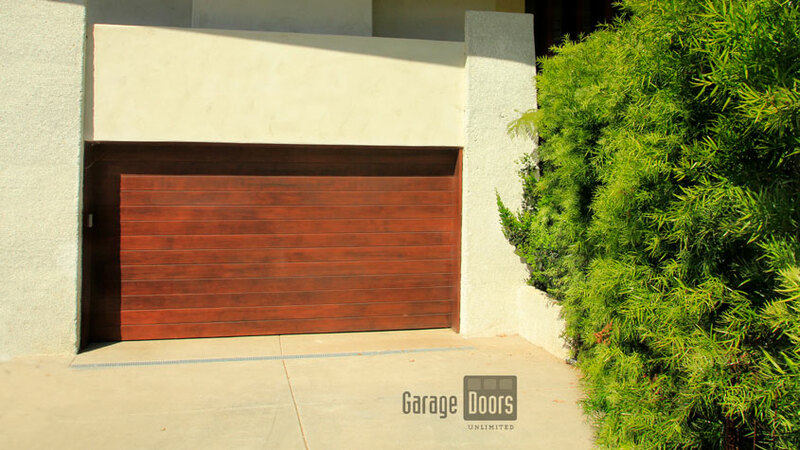 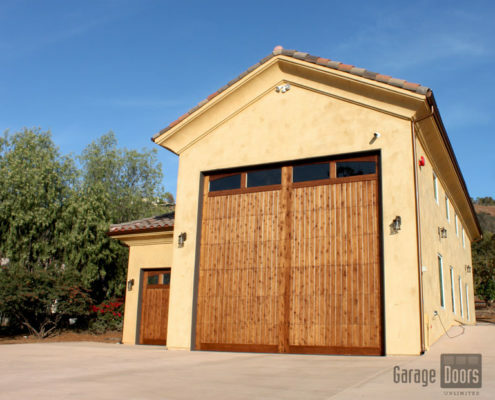 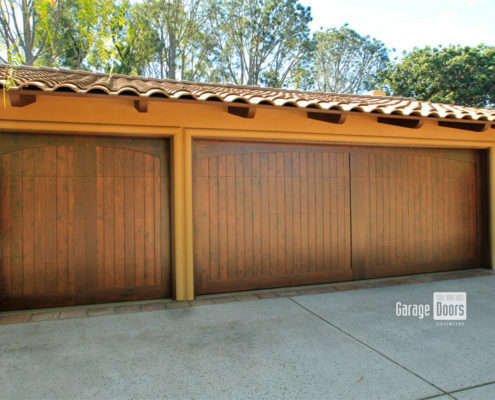 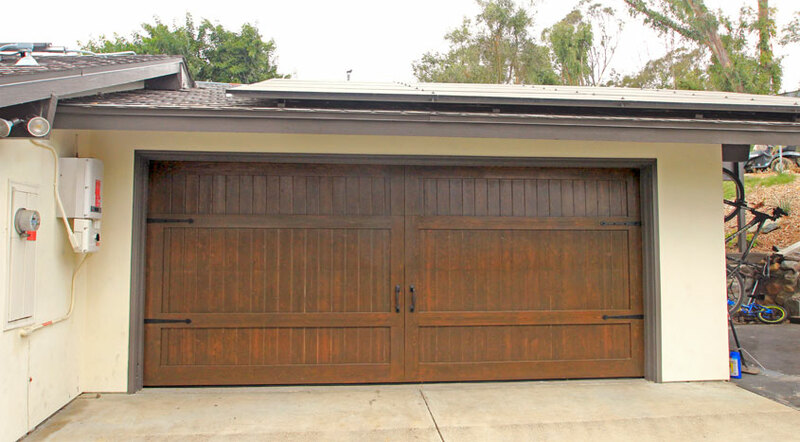 The excess wood used for your garage door is reserved for our customers as a sample for the staining process. 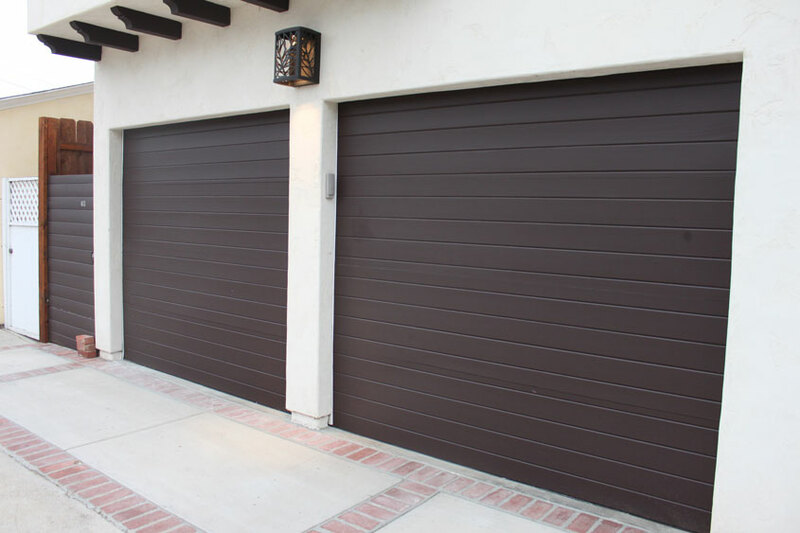 Simply give the sample piece to your stainer and watch as they develop the perfect shade! 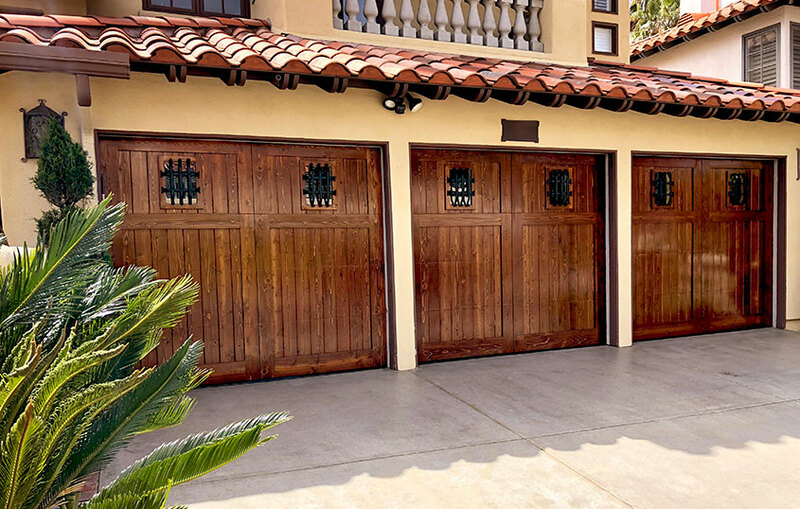 When we say Craftsman we truly mean it! 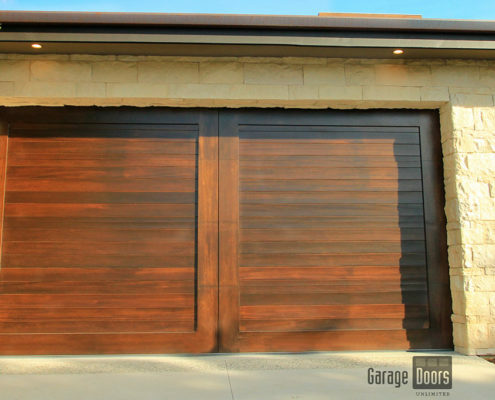 Each panel is constructed and cut in our warehouse to create the strong lines and recessed panels signature to the Craftsman look. 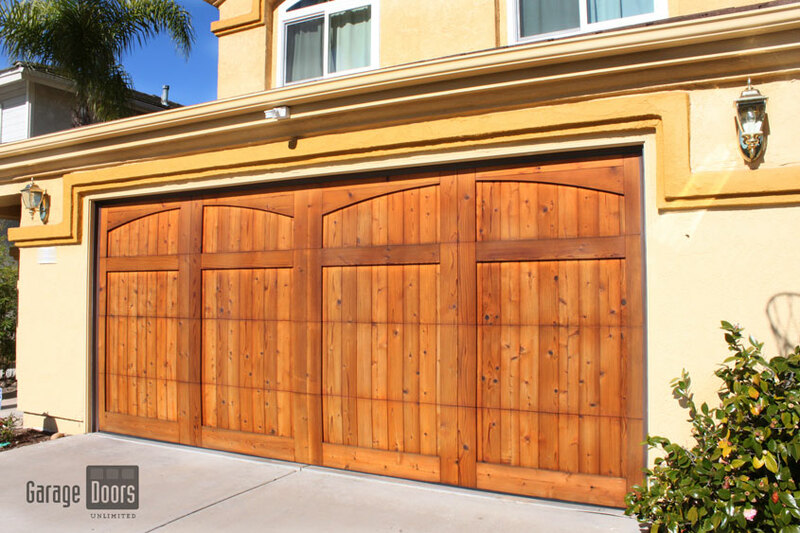 GDU uses the highest quality wood from Red Western Cedar, Knotty Cedar, and Mahogany for a durable and beautiful finish. 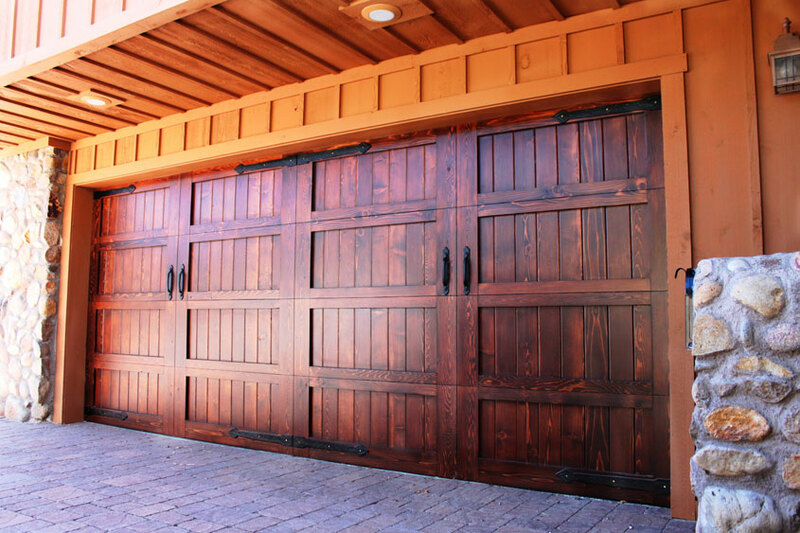 The clear grade associated with our Red Western Cedar, reduces the amount of decay and knots found in wood over time. 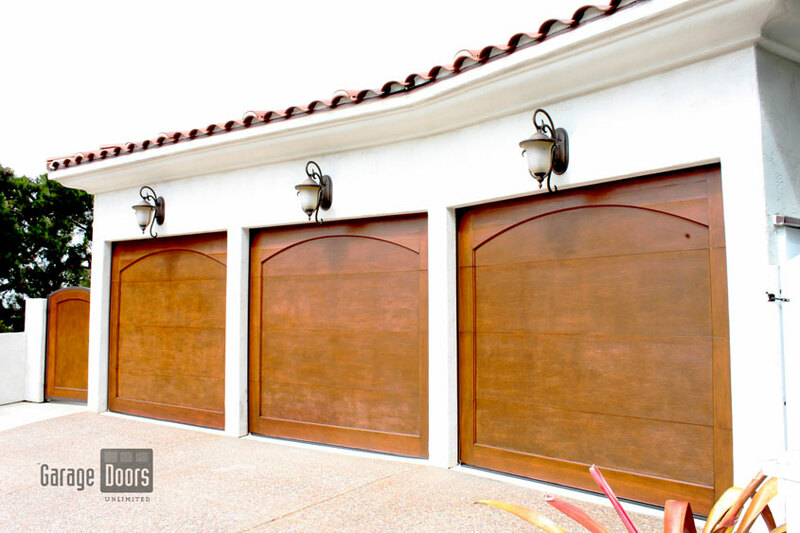 Windows are optional along with iron door accessories. 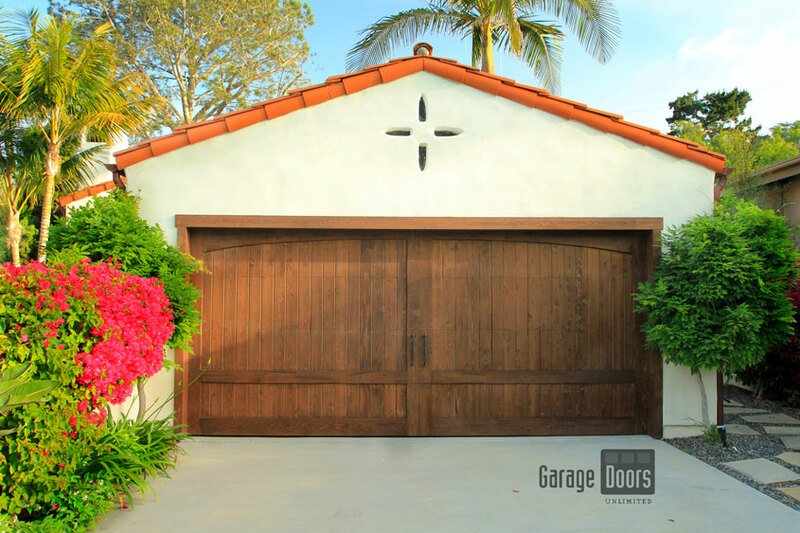 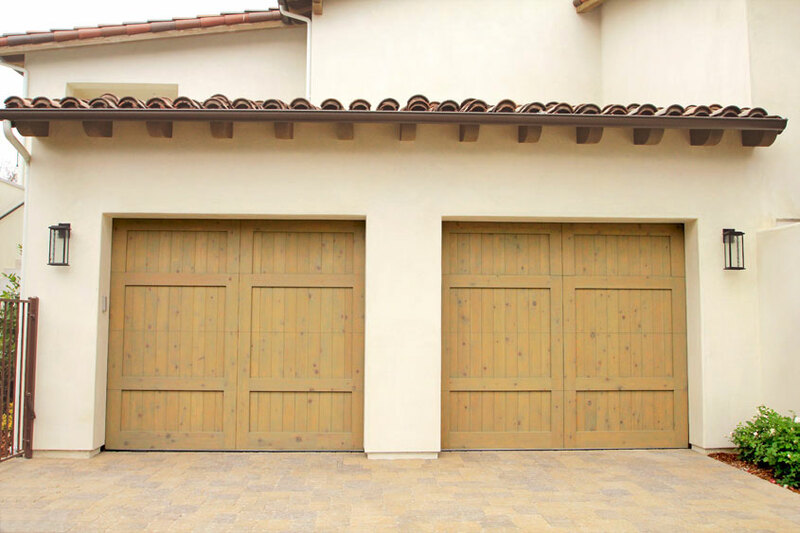 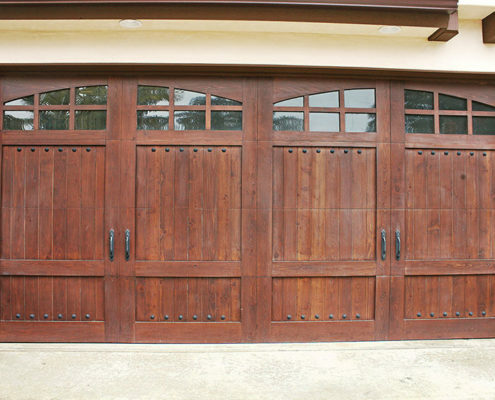 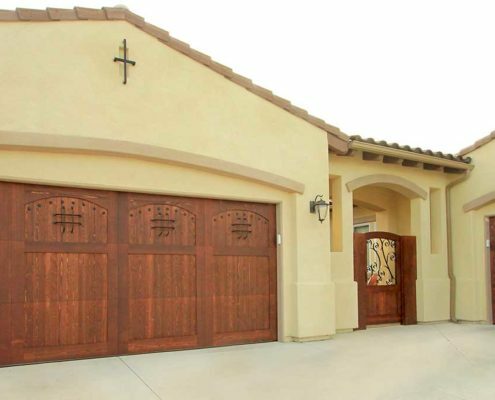 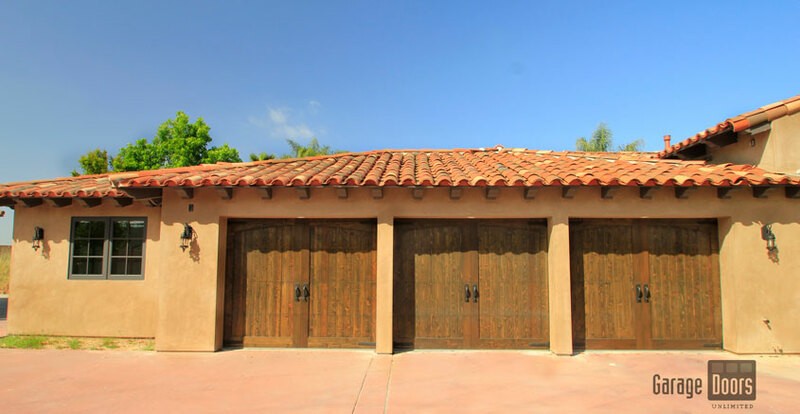 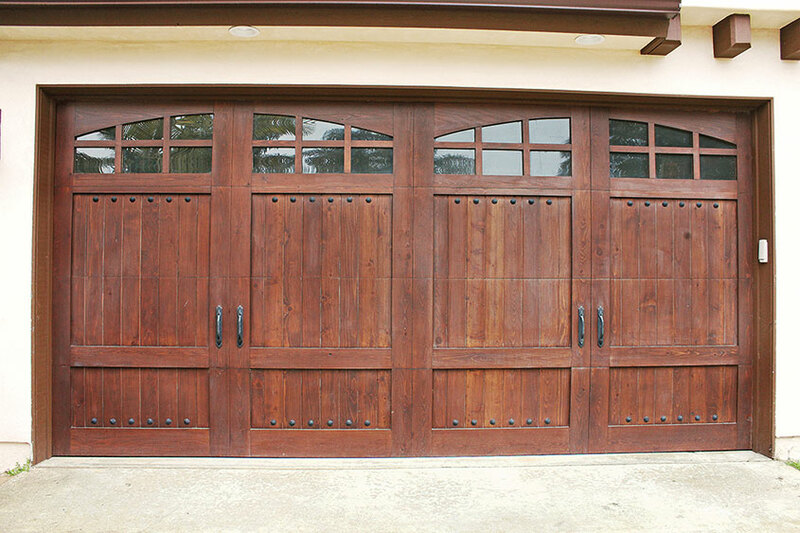 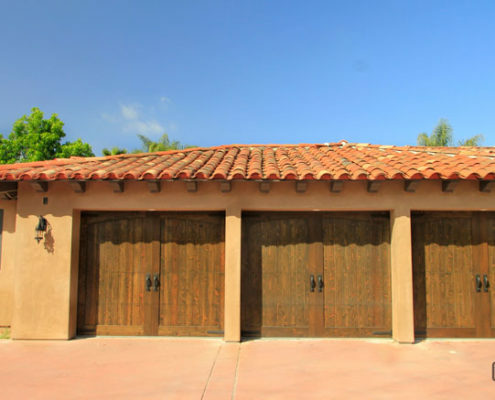 These wood doors symbolize the iconic Spanish Colonial Architecture. 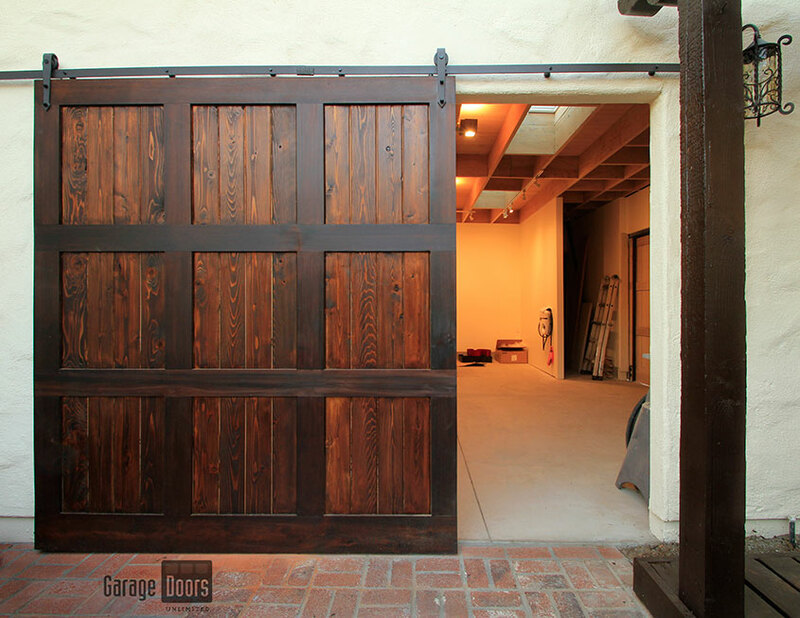 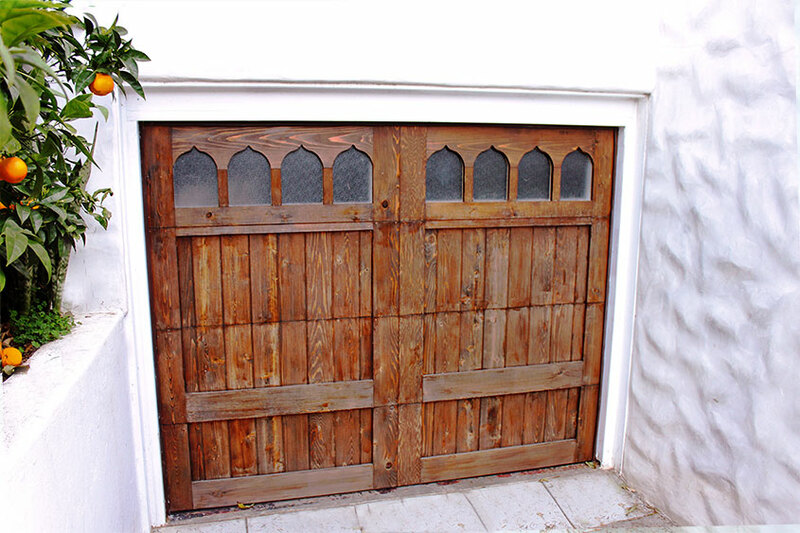 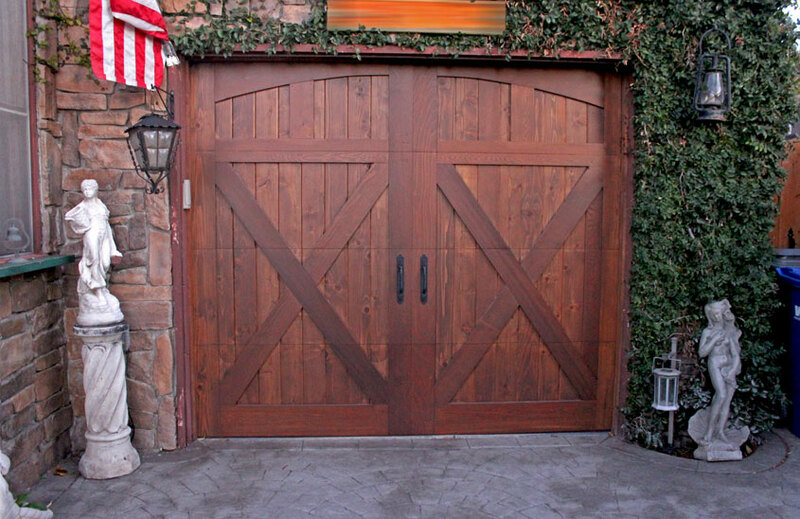 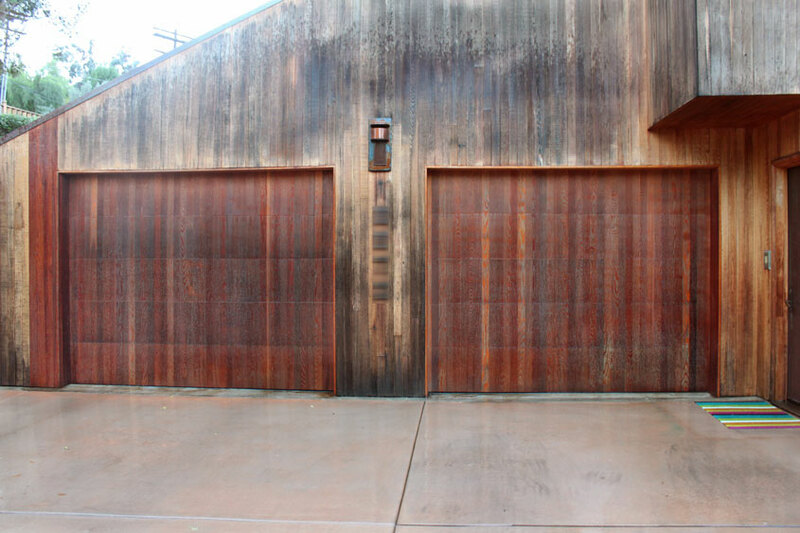 Their arched tops, distressed wood, and iron clavos, are all design elements for this particular wood door. 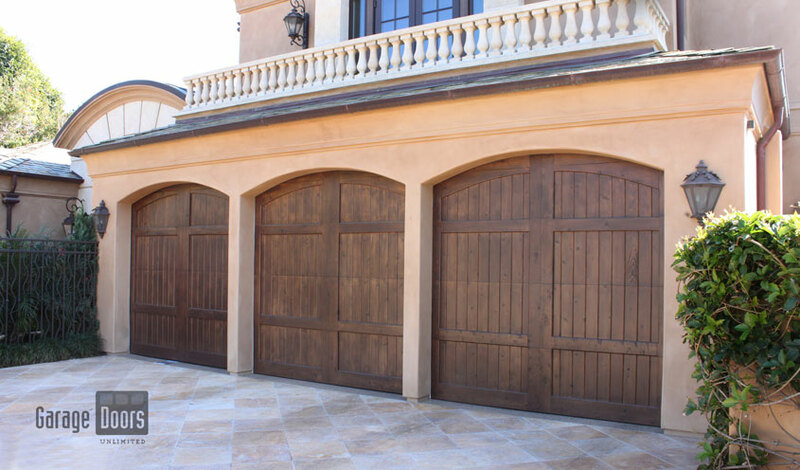 If you are looking to give your home that “Old World” feel our design consultants will re-create the European elegance you crave. 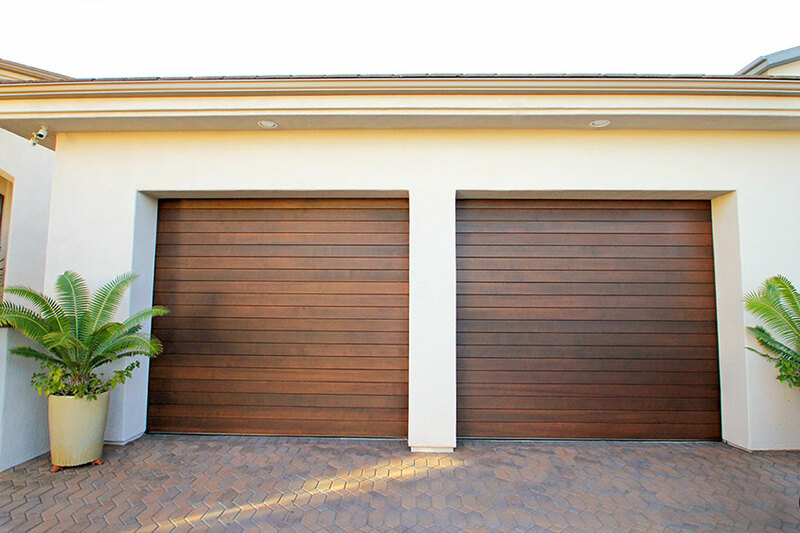 The rich tones of stained wood will be sure to make your driveway stand out above the rest! 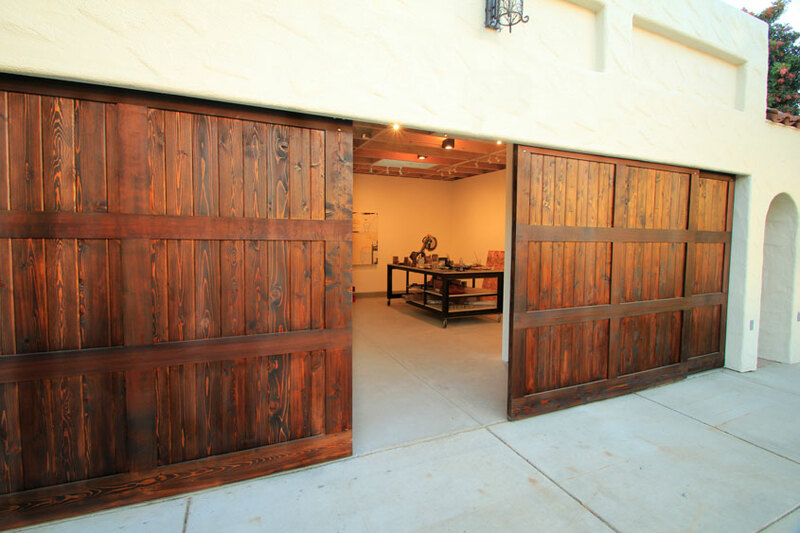 All of our stained wood doors are done through a specific process. 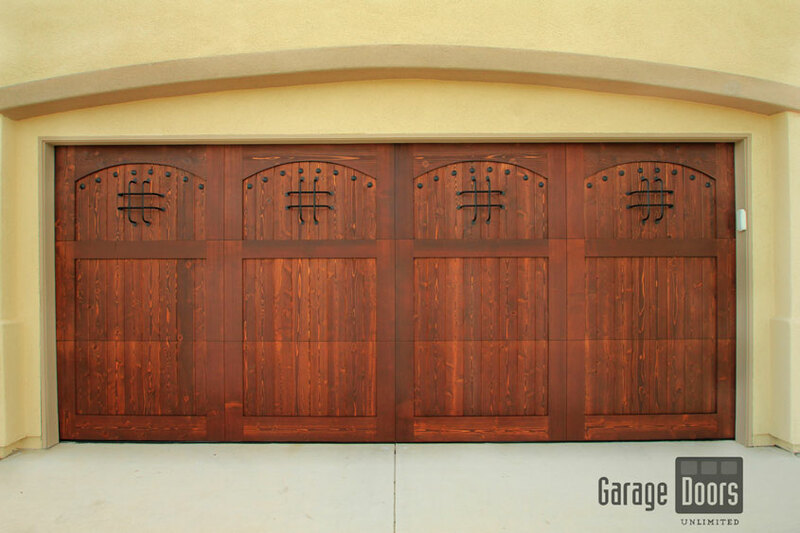 We have professional stainers that work in conjunction with GDU to come up with the exact tone you want. 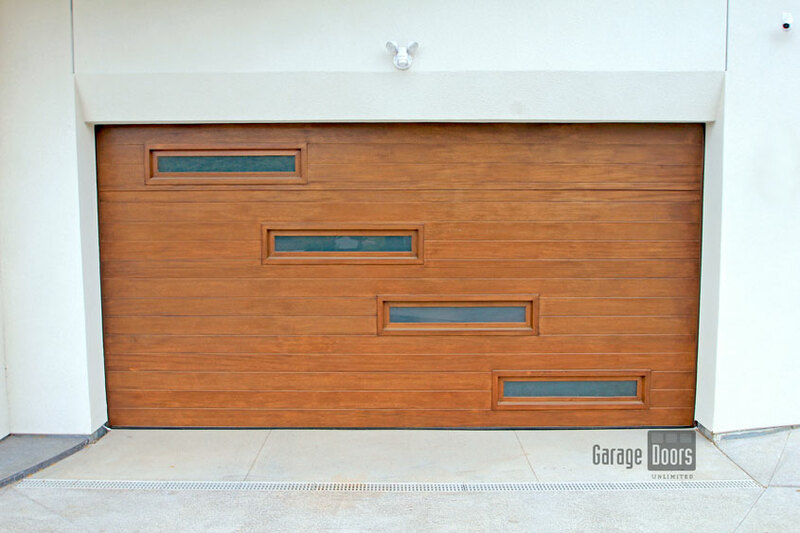 Less is definitely more when it comes to a modern door! 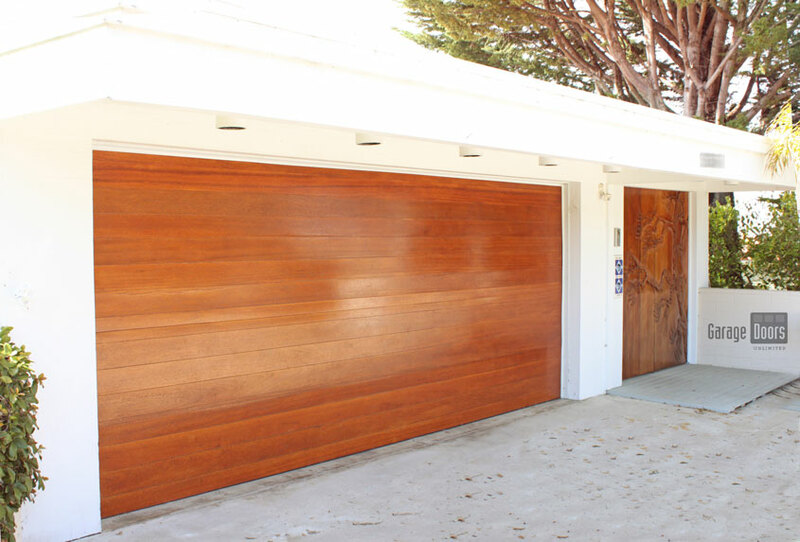 The panels are flushed, creating long and clean lines, with limited accessories to show off the natural beauty of solid wood. 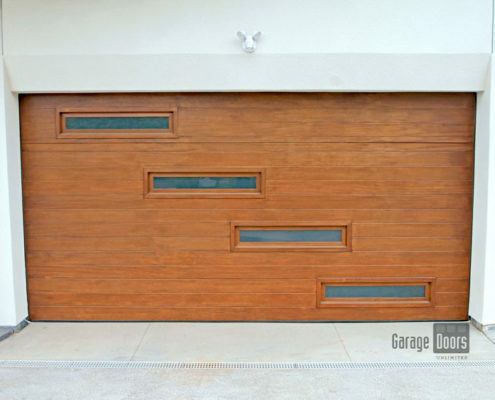 If you are looking for something to match your modern home or you prefer the minimalistic look, this wood door is a perfect option for your home. 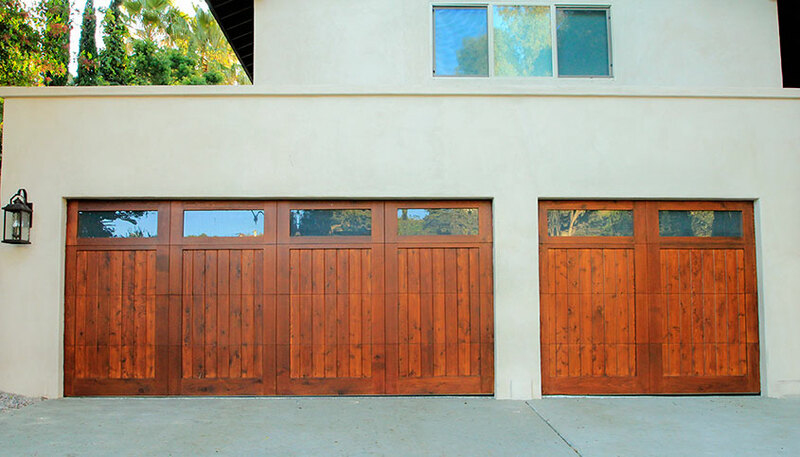 Windows can be added at your request while still maintaining the modern aesthetic.